It has been almost 10 years since the concept of a Green Wedding Bride Guidebook was published, and green weddings have continued to grow in popularity. Today, more than 70% of brides are including eco-friendly elements in their events, and the number of green options has multiplied accordingly. It is easier than ever to find vendors offering local and organic food, sustainable flowers and rings crafted from ethical gemstones and recycled metals. As green weddings have moved mainstream, what defines a green wedding has changed. “Green” is no longer a wedding theme but an approach to planning and we are seeing green weddings in every style and colour. That said, like with weddings in general, there are always a number of eco-specific wedding trends, and next years are going to be particularly lovely. The earthy bride will shine with casual elegance. Boho glam style offers a fun mix of high and low décor: local wildflowers in vintage vases, vintage and upcycled rhinestone and feather hair accessories with a 1920s twist, and flowing cotton and peace silk gowns. Green brides will top this look using eco-friendly makeup to make smoky eyes and rosy cheeks. Sweet treats are always popular at weddings, but next year, the candy station will be replaced by oversized treats. For green brides, that means large natural lollipops, photo marshmallows, and piles of large organic cookies with intricate patterns in powdered sugar or organic frosting. 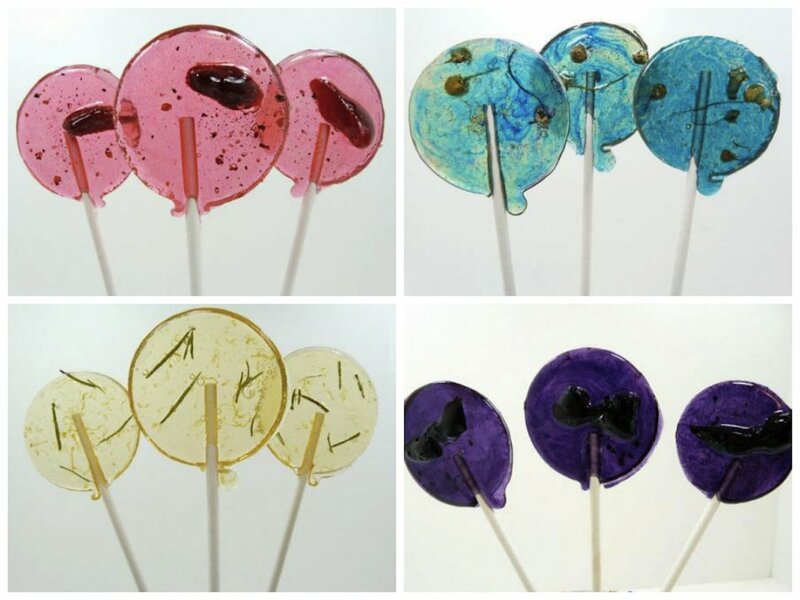 Be on the lookout for sweets complex recipes an adult twist, like these Blackberry Merlot Mulled Wine Lollipops from Groovy Baker. Many eco-friendly brides choose to have their weddings outside, but the number of indoor weddings with an outdoor theme is growing. Look for large branches down the aisle, string lights made from real flowers around the dance floor, and tablescapes of moss, succulents, and other lush plantings. For rustic weddings, nothing beats the feel of a wood save-the-date, invitation, or thank you card. Now, there is a wide range of eco-friendly options, including everything from thin Forest Stewardship Council (FSC-certified) veneer to thick Colorado Beetle Kill Pine. Some vendors allow for complete customization, while others offer classic designs that range from quaint owls to elegant script. Paper is one of the easiest — and least expensive — things to green. We will see colourful poms, streamers, and even confetti made from recycled paper. The nice thing for brides is that these items no longer have to be in solid colours. Several companies now make recycled paper décor in fun patterns and even metallics. Beautiful hair accessories are always in style, but gone are the days of tucking a simple rose into your updo. Flower headbands have morphed into flower halos, creating unforgettable natural looks. For brides who want to capture the glamour of real flowers without the weight or hassle, dried flowers crowns offer the perfect solution. 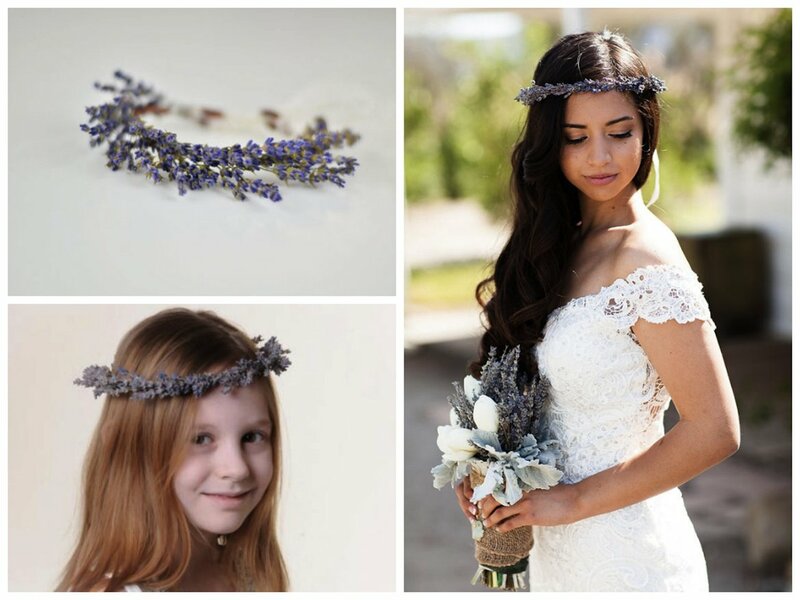 Some, like lavender crowns, are extremely fragrant — offering an added bonus for eco-minded brides. Perhaps it is the influence of the ALS Ice Bucket Challenge, but using your wedding as a vehicle to support a good cause is gaining popularity. We will see more charity gift registries, charity wedding favours, and honeymoons with volunteer components. Brides are wising up to ways to get around the high-ticket price of a perfect wedding — and rentals are great options. From gowns and jewellery to vases for the tables, brides are looking to borrow, rent, or buy and resell more than ever. They are getting their money’s worth while decreasing their impact on the planet. More vendors are getting into the rental business as well, as they realize that offering antique chairs or votive holders is a quick way to make a little extra cash in the recovering economy.